Is there a better alternative to nPrompt? Is nPrompt really the best app in Applications category? Will nPrompt work good on macOS 10.13.4? 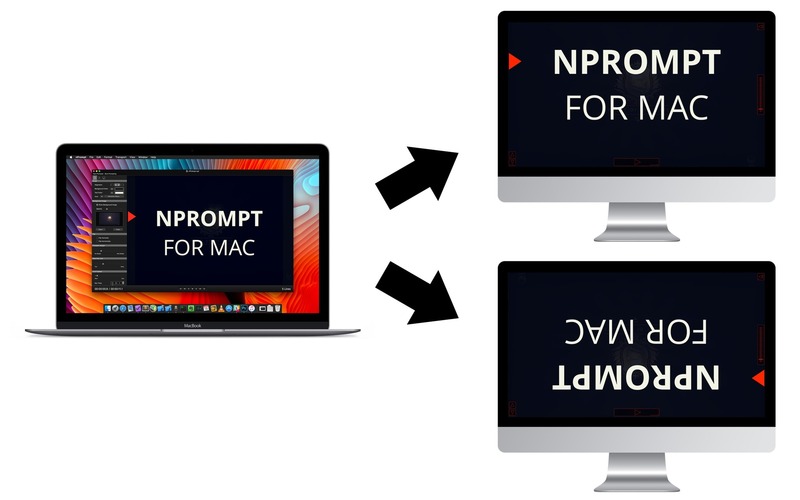 nPrompt is an easy-to-use teleprompter for your Mac. nPrompt is ideal for solo content producers and small teams. (If you know how to use a word processor like Pages or MS Word then you can use nPrompt). No expensive hardware required - You don't need any expensive or special hardware. Your trusty Mac is all you need to get up and running in no time. nPrompt needs a review. Be the first to review this app and get the discussion started! nPrompt needs a rating. Be the first to rate this app and get the discussion started! Don't waste your time - nPrompt does a lot of work for you The software automatically manages settings and details you otherwise would have to take care of yourself. No fiddling with line breaks. No headaches when it comes to display resolutions. Prepare your script and press play! Comes with all the pro features - But being easy to use doesn't mean it's not powerful. 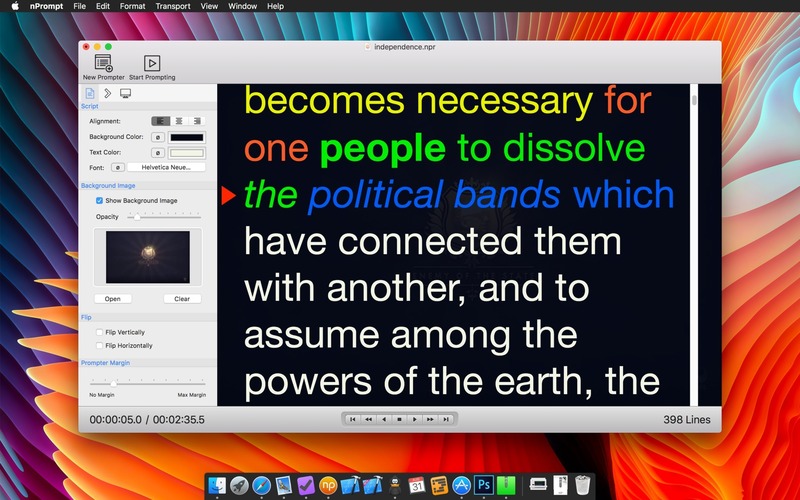 nPrompt offers all state-of-the-art features like text mirroring and flipping, support for unlimited external displays and script overlays/indicators. You can even use professional mirroring camera hoods with nPrompt. 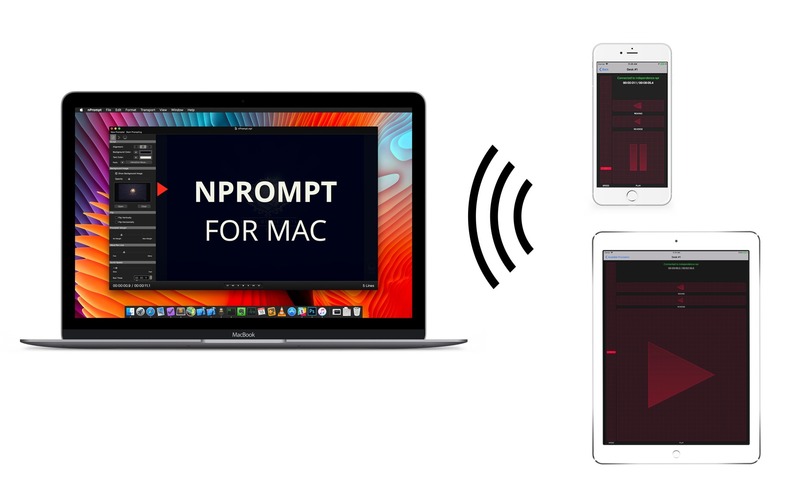 Remotely control everything - nPrompt is fully remote controllable via iPhone/iPad (free iOS app available), another Mac (running nPrompt) or a Keynote/Power Point "presentation clicker". And the ability to assign custom keyboard shortcuts to teleprompter functions allows you to add custom controller hardware in no time. 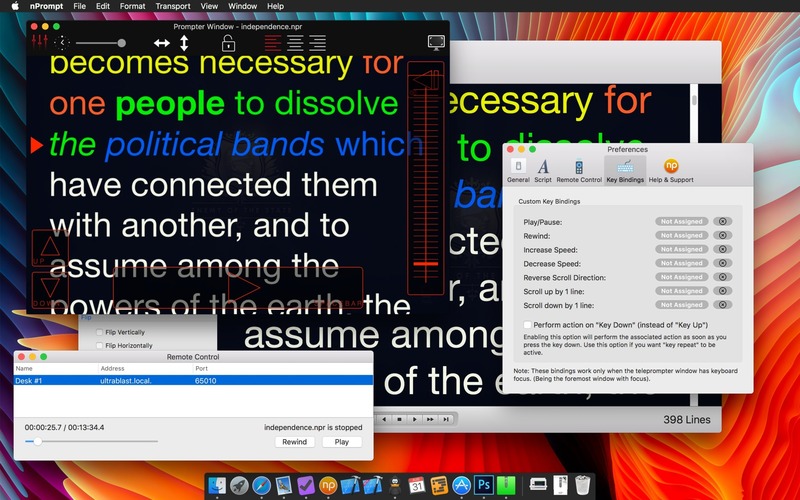 Rich text script editing - The script editor is a fully featured rich text editor. 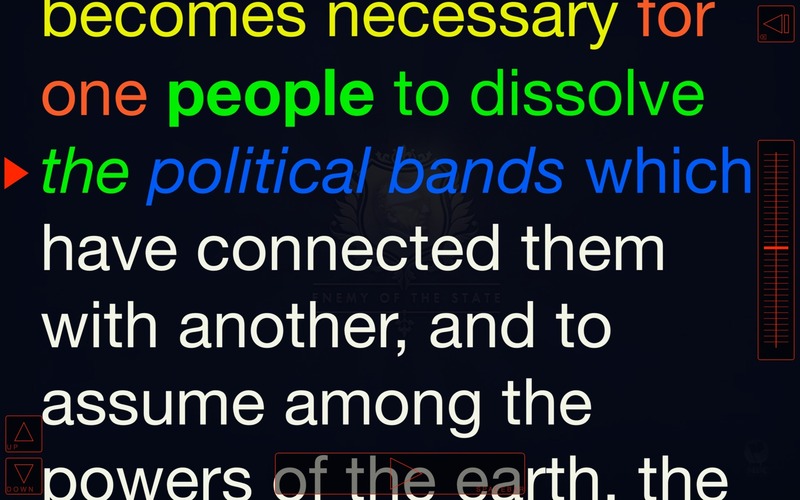 You can change fonts, colors, add underlines, bold passages, and even use emojis. To make sure nothing important goes under.